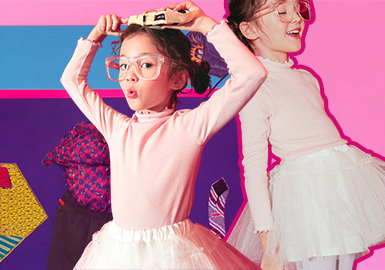 Silhouettes and details are both important for kids' loungewear in A/W 19/20. 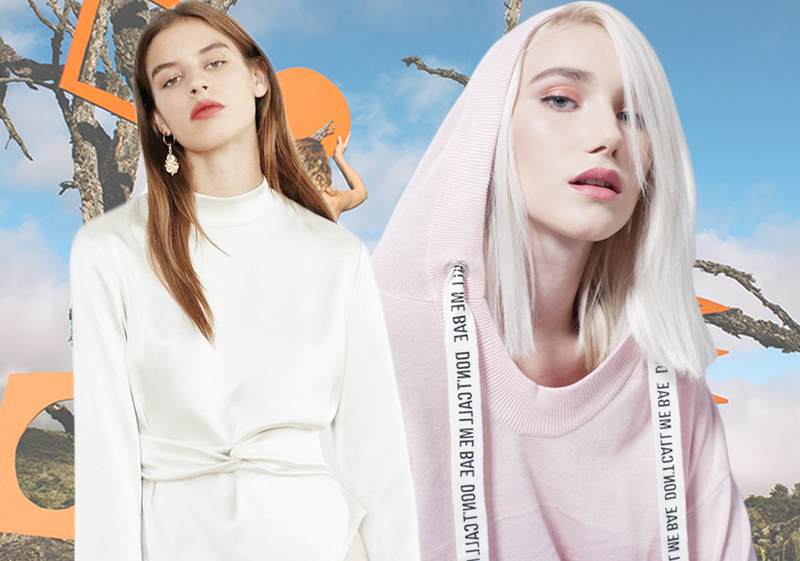 Designers take inspiration from sweatshirts, jackets and animals, resulting in stylish items. Drawstrings are functional and can accentuate the waist line. 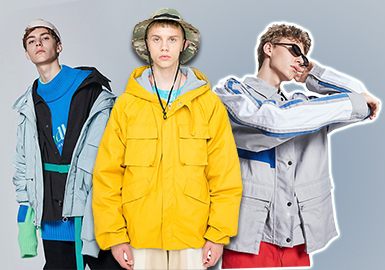 Reflective tapes, multi-functional pockets, metal hoops, detachable vests or transparent arm pockets are revamped for a street yet masculine style. 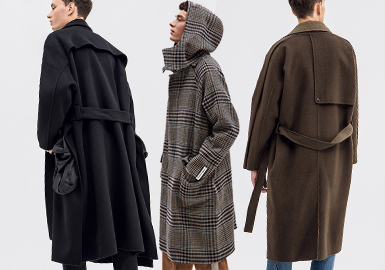 Overcoats are key items of A/W 19/20. A smart casual coat keeps cool on streets and is versatile in daily life. Loose sweatshirts are still hot in this season. Oversized silhouettes and untightened hems feel slouch. Basic round-neck sweatshirts are versatile, while half-zip design reinforces a sport style. We also need to dress well at home. 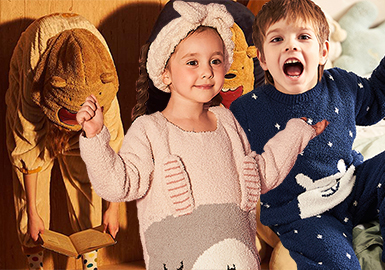 Sets are warm and sweet, while long homewear with base pants feels comfortable. Hooded loungewear adds a vibrant and girly style. Windproof design is essential in cold winter, with exaggerated high neck to keep warm. 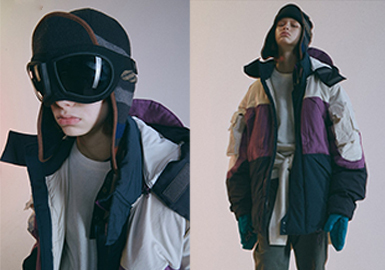 Hooded puffer jackets put emphasis on the details of hood and neck. Padded bomber jackets feel relaxed in winter, while reversible ones are cost-effective. Large-scale color-blocking design adds a brilliant touch to chunky items. With the pushing of the retro style, elegant check overcoats prevail in the market. Reversible overcoats grab attention; wrap coats are cool and leisure; paneling coats make body shape appealing. 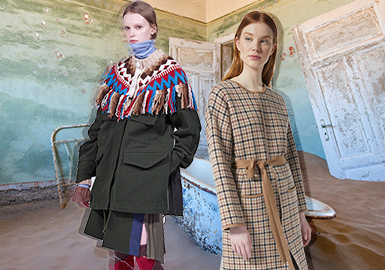 Modern nomadism is a key style in A/W 19/20. Considered handcrafts show a relaxed and tough aesthetic. Fair Isle patterns mix with modern elements and go brighter. Melange yarns become more lively and daring. 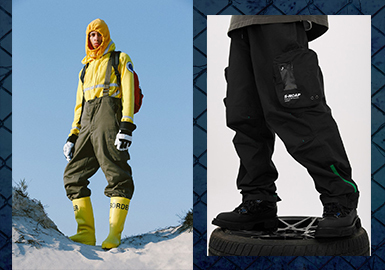 Multiple-pocket cargo pants are updated with fashion elements to create a street or a leisure style. 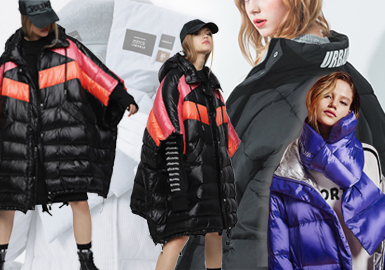 Warm and stylish, puffa is the best option for cold winter. 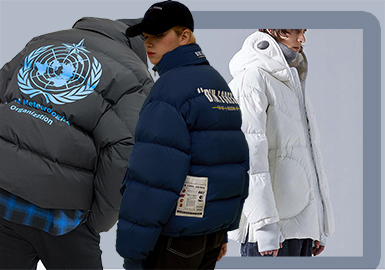 Everyone needs a soft functional puffer coat. Overcoats are key items in autumn and winter. This season, simple silhouettes are key, focusing on the waist and layered design. X line, double layer, scarf and broad shoulder personify coats. Base layers become must-haves thanks to their versatility. Knit, shirting, fleece and lace combine with subtle details, creating items which can also be worn as outerwear. 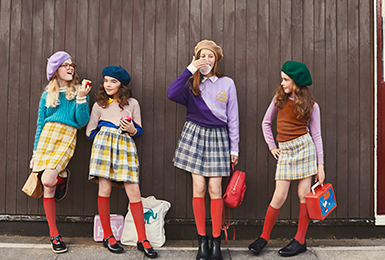 This season, girls' puffas are covetable. 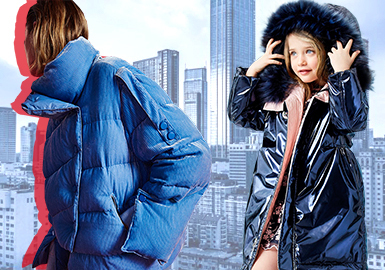 Padded jackets and long voluminous coats are classic, while metallic sheen and mixed materials add newness. High neck and drawstring become bold details. With the effect of La Niña, we will have a cold winter. Voluminous puffas become essential. Puffer jackets are easier to wear, while long coats feel warmer. Pockets, prints and paneling are employed to create practical yet stylish looks. As consumers look to buy less but better, modular design surges in popularity, enabling consumers to turn a set into a top and short combo which can be worn together or separately. Effectively, it's diverse looks for the price of one. As people have a better life, they prefer luxury fashion brands. Practicality takes a back seat, but aesthetics become more important. Silhouettes are updated for diverse looks. Knitted overcoats are classic and versatile, essential for autumn and winter. This season, bright color blocks, bold binding and mixed materials update coats for a simple and elegant style. Sweatshirts are key items in A/W, and still apply chic sporty style in this season. 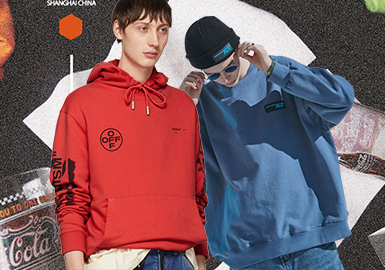 Sweatshirts like half-zipper, high-neck, mock-layer and cropped ones show the creativity. 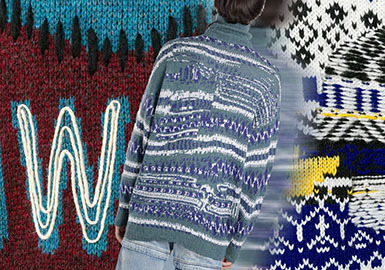 Patterns, colors and mixed materials give a new lease of life to sweatshirts. 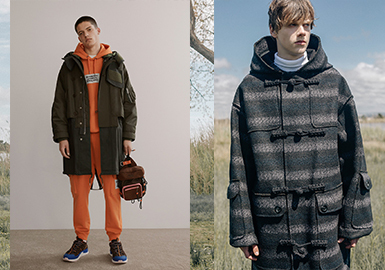 In A/W 19/20, down coats vary in silhouettes. 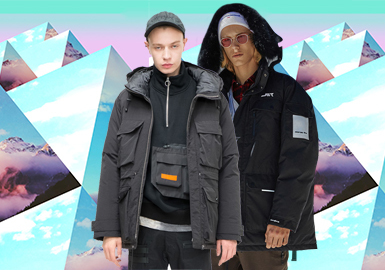 Check puffer jackets see an uptrend. 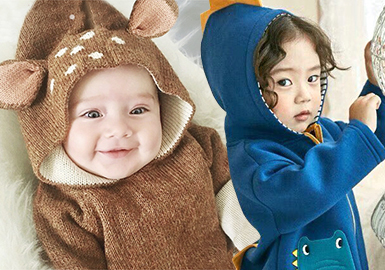 Cloak, wrapped, outdoor puffas bring newness in autumn and winter. Colors are also important, breathing life into down coats.